A complete solution which is able to test and characterize plasma membranes, in order to make comparisons across studies. It is critical to be able to characterize the force preceding the first penetration event on cellular, as it gives access to the cytoplasm. Note: Similar tests have been pursued on tissues in order to characterize the strength and elasticity properties and so have a better understanding of the tissues’ healing mechanism. Researchers were able to clearly identify the membrane penetration forces, by collecting the force at first breakthrough and then compared the penetration forces on treated cells for further research purposes. 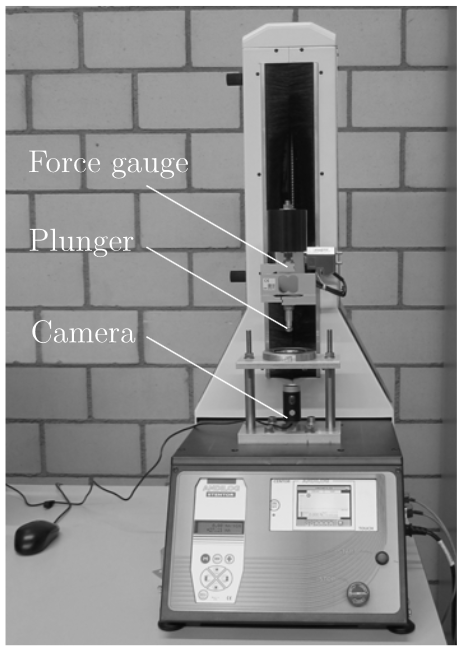 The collected results at the end of the testing protocol were maximum force, force at break, and penetration distance. ANDILOG was able to answer to this challenge by offering the computerized testing machine STENTOR CC which is controlled through the software CALIFORT; and a puncture fixture used to determine the resistance of a material to the penetration of a probe. The penetration event corresponds to advancements of the probe toward the specimen. > The STENTOR CC is a motorized testing machine able to perform tensile and compression test at a constant speed rate. The load cell can be sized accordingly to the testing requirements and are available from 10N to 5000N. 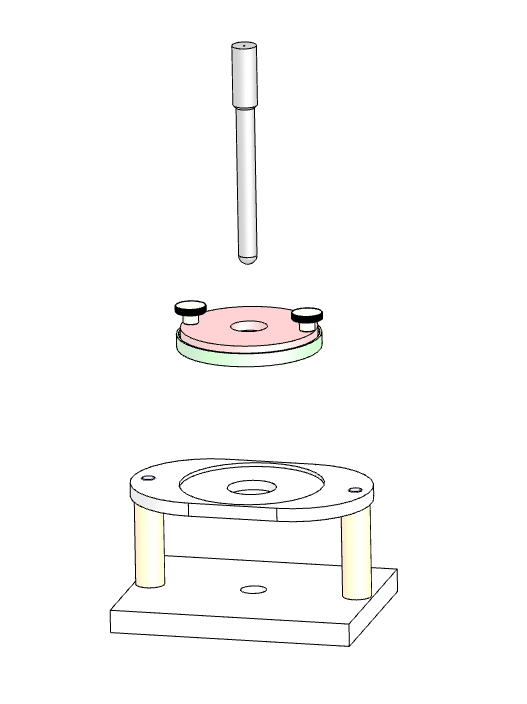 > The puncture fixture is composed by a base with anti-slip ring which hold and secure the specimen in place, when the probe (or puncture plunger) is used to penetrate through the material (available in various shape: cylindrical, spherical, with sharp edges, radiused edges or needle shaped). The STENTOR CC reverses its movement to return to its original position; the probe is retracted from the specimen.